The 4 Star Dusit Hotel on Koh Chang is located at Bailan Beach in Thailand. Dusit Princess Koh Chang is very famous for deluxe rooms and private pool suites for honeymoon in Ko Chang. The perfect white beach of Bailan and the luxury ambience of Dusit Koh Chang make this location like made for dream holidays and luxury vacations in Thailand. The Gym and the Spa area make the Dusit Hotel to a perfect accommodation for active and spa holidays. Bailan village invite for walks and shopping trips on Koh Chang. Cozy Bars and restaurants dominate the small village on Koh Chang. The rooms at Dusit Resort Koh Chang are appointed with deluxe and stylish furniture’s, air condition, TV, mini bar and some have a private pool for honeymooner and luxury tourists in Thailand. Dusit Princess Resort Koh Chang has a beautiful swimming pool which is a great place to watch the colorful sunsets on the horizon of the Gulf of Thailand. The most tourists come because of the exclusive atmosphere and the stylish rooms of this luxury hotel and high class accommodation on Ko Chang Island. 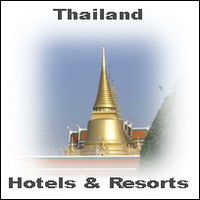 Here you can book and make reservations for Koh Chang Hotels. Been there just after opening. Indeed a great hotel, more like a 5-star hotels. The pool villas are excellent! The Dudit is now a Mecury Hotel which called Mercury Hideaway Koh Chang. Its still a very high class hotel with all luxury you like to have in a boutique hotel.